Crew neck sweater with heart along the front. Burberry® branding along the back. Shell: 91% wool, 8% cashmere, 1% nylon. Knit trim: 79% wool, 21% nylon. 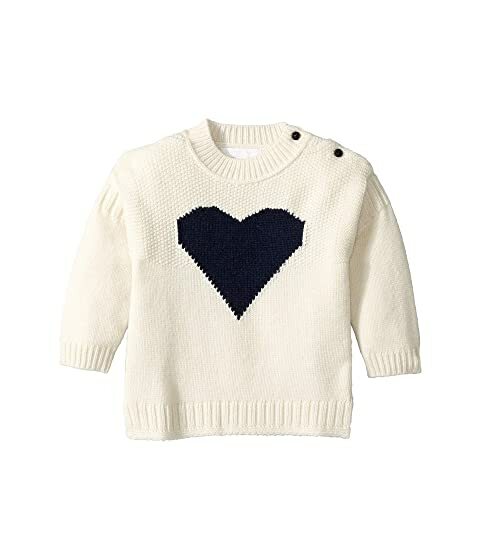 We can't currently find any similar items for the Heart Top (Infant/Toddler) by Burberry Kids. Sorry!